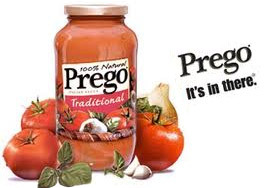 If you were alive in the late 1980s or early 1990s and heard mention of the spaghetti sauce brand "Prego," you almost certainly will think of their catch phrase "It's in there!" No matter what desired ingredient was asked about in Prego's TV adds, the response was, of course, "It's in there!" We often have potential customers approach us hoping to determine a specific detail or attribute of the vehicle using only the vehicle identification number (VIN). Decoding a VIN can return a large amount of useful information. However, there are still many vehicle details that can't be determined from a basic decode of the VIN Pattern alone. In other words, they are not all in there. Below are a list of commonly-inquired-about vehicle details that the VIN Pattern is not going to capture, or at least won't capture consistently. The information encoded into the VIN pattern does not consistently identify the vehicle's Trim, though there are a number of VINs that are trim specific. This happens mostly with passenger vehicles and is most common with luxury cars. Even then, the VIN is not consistently Trim specific across most model years for a given make. For Light-Duty Vehicles, the VIN is rarely trim specific. As a result, if you need to consistently identify trim you will often need to collect information on the vehicle in addition to the VIN. Transmission is rarely encoded in the VIN pattern. However, it often can be tied to a VIN when the vehicle's VIN pattern identifies a combination of the engine and model (and possibly trim) that are available with only one transmission option. In recent years, there have been much fewer vehicles offered with a manual transmission. This has resulted in more and more transmission-specific VIN Patterns, though it is not directly encoded in the VIN. Check out our post "4 Common Questions about VIN Decoding and Transmissions" for more information. While there are some models and trims identified by the VIN that may only have a single interior color choice, the VIN pattern still does not identify this. Therefore, the VIN cannot reliably be used on its own to identify the interior color. Some VINs may identify the vehicle's upholstery indirectly by identifying a model, or possibly a trim that only has one upholstery option. Still, using the VIN alone is not a dependable way of IDing the available upholstery, and requires additional input. The VIN pattern does not capture the vehicle's features or standard equipment directly. However, most data providers can use the vehicle details identified by the VIN pattern to provide a list of standard equipment tied to the vehicle. The optional equipment installed on a vehicle is not encoded in the VIN. However, most data providers can tie this information back to the VIN by referencing OEM Option Codes (Optional Equipment Codes). The curb weight is an important value for vehicle transport logistics. When a VIN is specific to a style or trim, a base curb weight can be determined. However, optional equipment added to the vehicle can change this value by hundreds of pounds. As a result, the curb weight should be used as a point of reference, rather than the exact weight of a vehicle being transported. While the VIN Pattern does identify the Gross Vehicle Weight Range of Light-Duty Vehicles and MPVs, it does not identify more specific Gross Vehicle Weight Ratings. The good news is that, though the VIN Pattern itself does not identify the vehicle details listed above consistently, if at all, the VIN is a great starting point for accessing complete vehicle data. A full-service vehicle data provider can utilize their expertise, and the additional data they have aggregated, to tie much more detail to the VIN than what is actually encoded. Further, advanced VIN decoders are able to accept multiple inputs in addition to the VIN, and use these data points to enhance the precision and depth of vehicle details returned. When available, Manufacturer Model, Color, Option and Package codes are used to determine all details of the decoded vehicles. This data can often be found in a dealer's DMS for new and certified pre-owned vehicles, and can be extracted from the DMS as additional input along with the VIN being decoded. The most advanced vehicle decoders have the ability to be used or operated independently of VIN. They use logic and seasoned algorithms to accept all codes, as well as non-normalized vehicle and equipment descriptors. All inputs are then used to identify each vehicle configuration and provide more detailed returns that can be specific to trim, color and installed optional equipment. DataOne Software's VIN Decoder Web Service is an example of a powerful decoding service that can accept and utilize all the above-mentioned inputs --including or independent of VIN-- to return industry-leading precision, detail and depth of vehicle data. For a more detailed overview of advanced vehicle decoding please click on the hyperlink to our article on decoding more than the VIN.